Bentley is presenting a News Broadcast each Monday on his blog. Tune in every Monday to get all of the latest news stories. Bentley, Oz and Melissa are co-hosting a Halloween Day Blog Hop Spooktacular. Join the hop on 10-31-14 to connect to all of the holiday happenings. Blogville Welcome Wagon is a new blog sponsored by Jazzi. It is a meeting and help blog for new furinds in our community. The Cat On My Head is promoting a weekly series called Sunday Selfies Blog Hop. Click the link to the blog for more details. Post your selfies and join the hop on Sundays to participate. Dory is hosting a Halloween Party on 10-31-14. See her 10-7-14 post for details and submit your costume photo to her by the 24th to participate. Election Day for Blogville Mayor will be held on 11-4-14. The Mayoral candidates are: Dory and Murphy & Stanley. 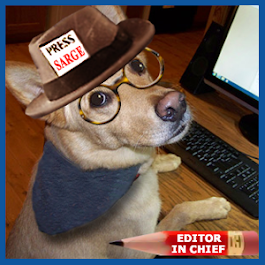 Sarge is hosting the polling location. FiveSibes is promoting an Epilepsy Awareness Online Auction. See their 10-15-14 post for details. Auction is hosted by Auctions for Animals on Facebook between Nov 1 and Nov 15. Funny Farmers are hosting a Giveaway of two dog costumes for Halloween. See their 10-8-14 post for details. To enter, leave a comment stating which one you would like to win. Funny Farmer Felines are hosting a series of Cat Interviews each Friday. Click on their name to see their blog for details. Mayoress Madi is hosting a Blogville Town Hall Meeting for the mayoral candidates on 11-1-14. Stop by to see and hear the candidates address your questions and the issues. Murphy and Stanley are hosting Fractured Fryday Hairy Tales this month on Oct 30 & 31. See their 10-17-14 post for details. The phrase is "I knew there was no turning back now." Murphy and Stanley have a Power Of The Paw Page on their blog for those friends who need our love and support. Please see their blog and click on the POTP tab to review. Ranger is sharing his list of Wacky November Holidays so we can all participate. 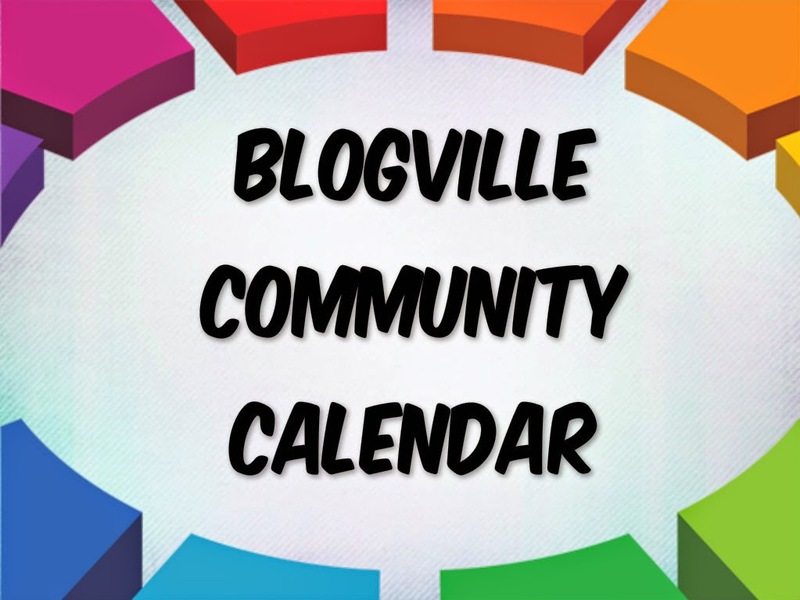 See his 10-28-14 post for the complete list of dates and holidays. 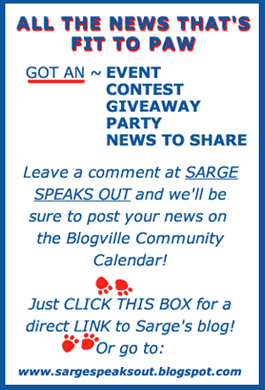 Post on your own blog to join in the fun. 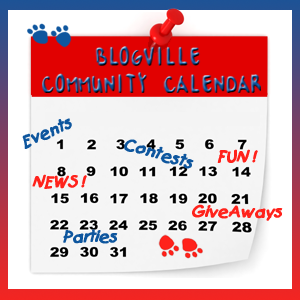 Rascal & Rocco are hosting a weekly Pet Parade Blog Hop each Friday. See their blog for details and to participate on Fridays. 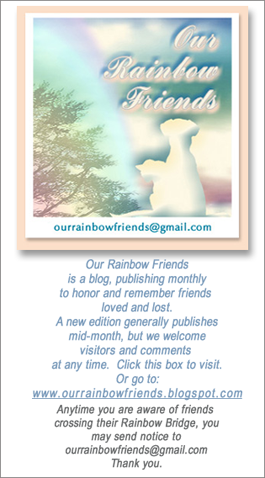 Shiloh & Shasta are sponsoring a Friday Furrendz guest blogger series. See their blog for details and to participate. Guest bloggers will post on most Fridays. This is better news than our newspaper!